I was surprised the other day to see the first magnolia on my potted tree. When I saw the tree in the nursery a while back I was surprised they even grew in Darwin so it became my most expensive plant purchase ever. Our courtyard has a lot of shade much of the day so it possibly doesn’t get as much sun as it would like so it’s been growing taller by the day seeking out the sun. I was thrilled to see its first flower. 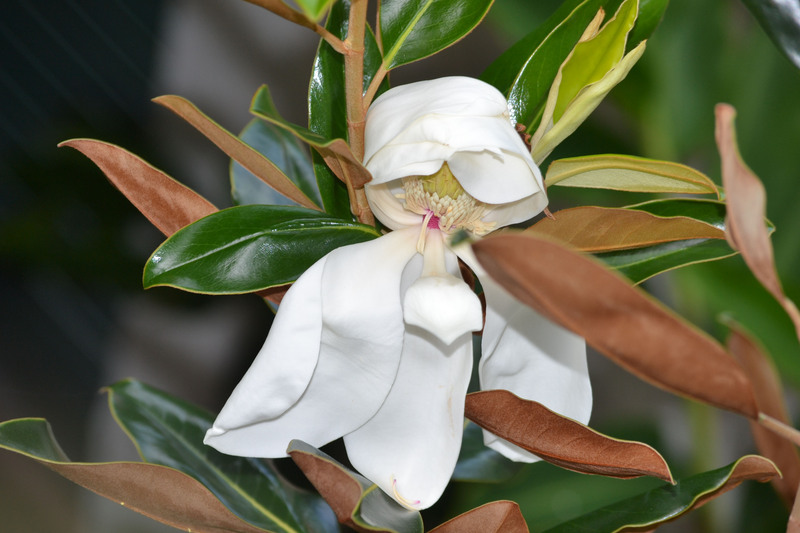 This entry was posted in 365 Project, Gardening and tagged Magnolia by cassmob. Bookmark the permalink. Stunning, I love magnolias but the only one I’ve managed to grow here is the Port Wine Magnolia which has a very heady perfume… just love it.